Phyllis Edgerly Ring left part of her heart in her childhood home of Germany, which she visits as often as she can. She loves writing, travel, and the noblest possibilities in the human heart. She is always curious to discover how history, culture, relationship, spirituality, and the natural world influence us and point the way for the human family on its shared journey. She has worked as writer, editor, nurse, tour guide, program director at a Baha’i conference center, taught English to kindergartners in China, and served as instructor for the Long Ridge Writer’s Group. 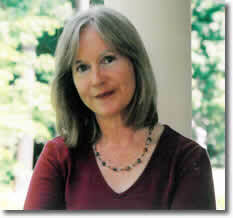 She has written for such publications as Christian Science Monitor, Ms., Writer’s Digest, and Yankee, worked as editor for several publications, and published two nonfiction books about creating balance between the spiritual and material requirements of life. She and her husband live in New Hampshire, happy to be near their grown children - some of the most thoughtful people they know. Look for Phyllis' SNOW FENCE ROAD everywhere! We're looking to expand our nonfiction catalog in serveral areas. Please view our guidelines for details! Romance submissions are currently back open. .